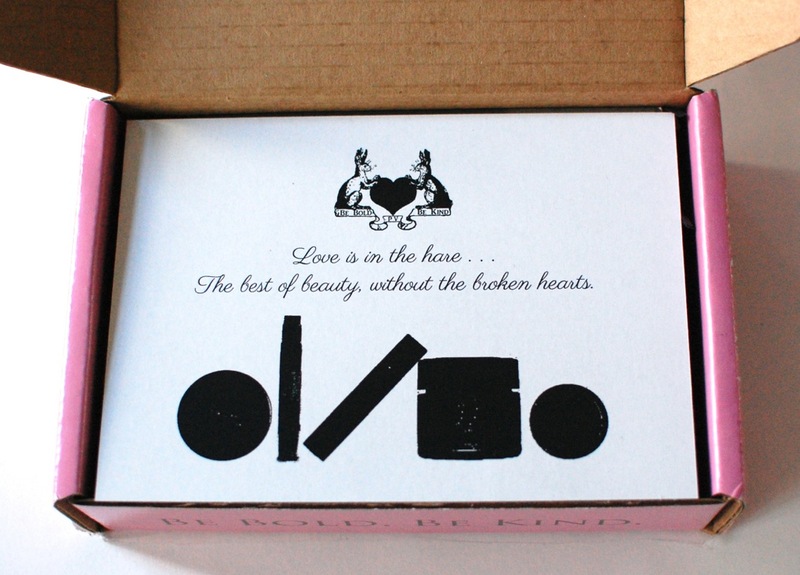 Petit Vour February 2014 Review & Giveaway! Petit Vour is a monthly subscription that features 100% vegan/cruelty-free luxury bath & beauty products. Each box contains a mixture of both sample and full-sized items for just $15/month — and shipping is always free! I was sent a Petit Vour box back in September and was really pleased with the items I received. So of course I was more than happy when they contacted me again to review February’s box! Amala Samples – There were 2 sets of these sample packets included. They all contain blue lotus, which helps to purify the skin. 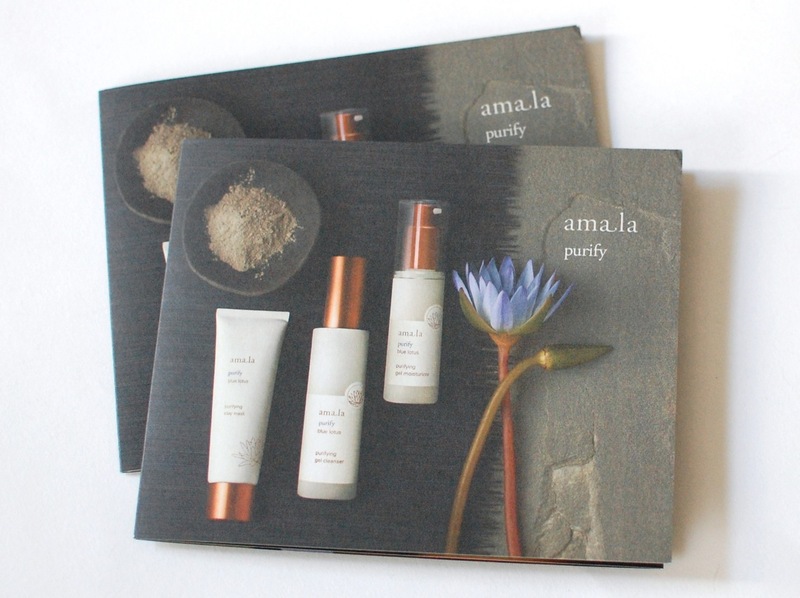 Set includes a gel cleanser, gel moisturizer, and clay mask. At first I wasn’t too excited about the contents of this box, but the more I learned about the products, the more I liked them. I was happy to find a tinted balm that wasn’t too tinted… I discovered that the beauty tea could be used as an aromatic bath, which I’d prefer over a “face sauna”… And the blush came at a perfect time, since I’ve been trying to work it into my daily regimen (and this stuff is a way higher quality than the cheap dollar store stuff I’ve been using!). So overall, I’m very happy with February’s Petit Vour box. Oh — and the total of all of the items (minus the Amala samples) is $31! — more than double the cost of the box! Not bad! Would you like a chance to try Petit Vour for yourself? The folks at Petit Vour were kind enough to offer one of my readers one free month! Just enter via the Rafflecopter below! Disclosure: I received this box for review purposes. I was not compensated in any way. All opinions are my own. Giveaway open to US residents only, 18+. Prize to be fulfilled by Petit Vour. Post contains affiliate links. I love the eye corrector and the lip butter. I’m actually really interested in this box. The lip butter and cheek blush look awesome. I would love to try the Everyday Minerals Tinted Lip Butter because I have small lips as well and I am always hesitant to put color on them. I would love to try the Everyday Minerals Sunlight Corrector!! Thanks for the chance! Everyday Minerals Tinted Lip Butter in “Can’t Stop Grinning” would be my fav product as I too do not like color on my lips and this sounds like I would also be able to use it! I love the sunlight corrector! I love the OFRA pressed blush in “charm”, I love the color it looks so cheerful! Great for spring! I like the lip butter! I liked the blue lotus, which helps to purify the skin. The set includes a gel cleanser, gel moisturizer, and clay mask. thank you for the product review. Love the color corrector – I’m white as a sheet (or so other people love to tease me), and it’s so hard to find cruelty-free products that work for me! Lip butter, I really, really need Lip butter! I would like the Amala samples best! I think it would be the mineral corrector. Everyday Minerals sunlight corrector is calling my name ! My favorite is the R. L. Linden & Co. Ms. Tilly Rosalie’s Beauty Tea. The Everyday Minerals Tinted Lip Butter in “Can’t Stop Grinning”. My favorite is the tinted lip butter. I love lip tints! The Sunlight Corrector is something I would not buy without trying first, so I think that would be my fav to get. The lip butter and the blush also look awesome, although I’m more likely to buy those without trying first. Great value on this one! I’m also very light complected so I’m really excited about the Everyday Minerals Sunlight Corrector. I already use some of their products and love them. The Tinted Lip Butter sounds awesome! I love the R. L. Linden & Co. Ms. Tilly Rosalie’s Beauty Tea . It sounds wonderful! It’s tough to choose just 1 favorite as I would put all the products to good use. I would say the beauty tea since I don’t usually indulge in this luxury! Thank you for the chance to win such wonderful products. the blush looks so pretty! I want to try the lip butter and blush. I like the Everyday Minerals Sunlight Corrector because my skin is pale too. The OFRA pressed blush. Thank you for the giveaway! I would love to try this box. I subscribe to Ipsy & I enjoy it, but I am planning to subscribing to another box, I just can’t figure out which one. The tinted lip butter sounds amazing! This box looks so cool! My favorite item is the Everyday Minerals Sunlight Corrector. I have very light skin as well and would love to try it for my under eye circles and blemishes. The blush color looks great. That blush is a beautiful shade! The tea! It seems very interesting and relaxing. The mineral sunlight corrector. I have dark circles — have tried a lot of products but haven’t found anything really good to cover them. I’m not usually a big fan of blush but I really like the blush in this one. The shade is really nice. The lip butter looks awesome! It would totally be my favorite in the box! With the big pimple forming on my face as I type I would definitely be over the moon for the clay mask! I’ve been wanting to try this box for a while now! My favorite is the Everyday Minerals Tinted Lip Butter in “Can’t Stop Grinning” . 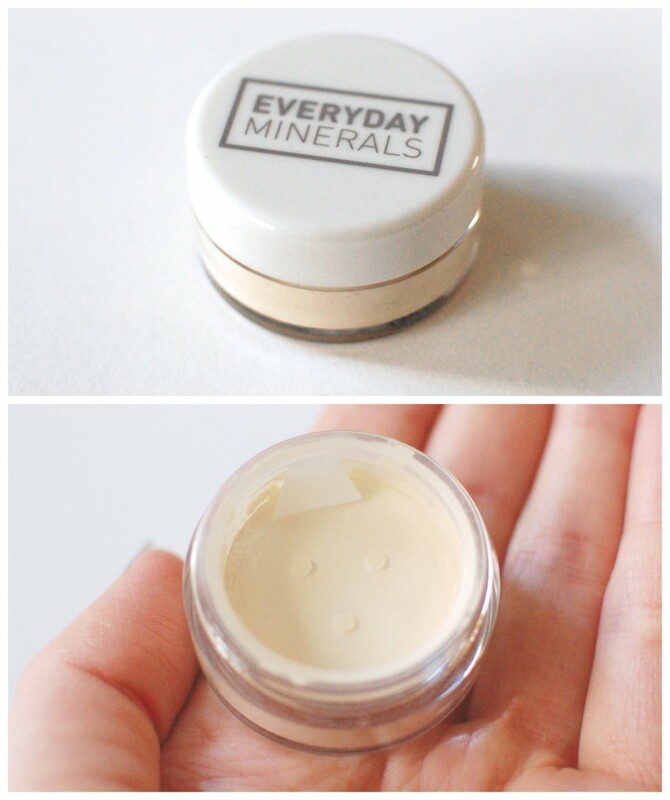 I would love to try the everyday minerals lip butter.